Forget about going to Jared, beginning kisses with Kay or bringing home a little blue box with a diamond engagement ring in it. If you really want to impress a loved one, the stocks of jewelers Tiffany and Signet may be a better gift. Both Tiffany (TIF) and Signet (SIG), which owns Jared, Kay and now Zales, reported healthy sales and earnings on Tuesday. And both stocks surged on the news. 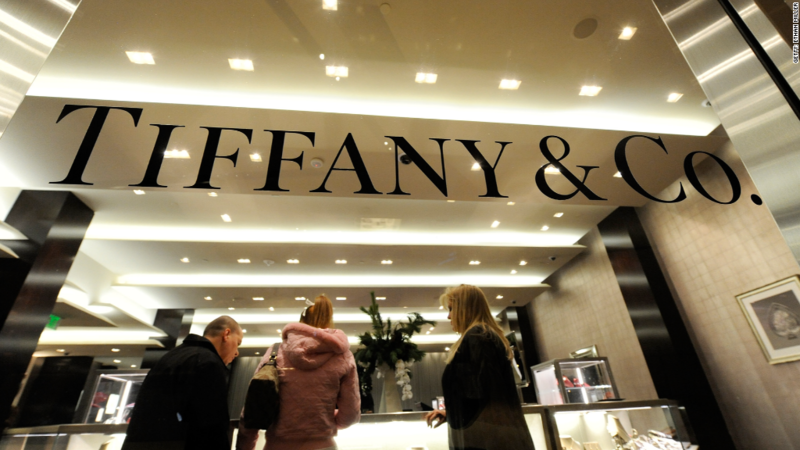 Tiffany was up 2% while Signet's shares rose nearly 6%. It's a continuation of a trend. These stocks have had a bling factor all year long. 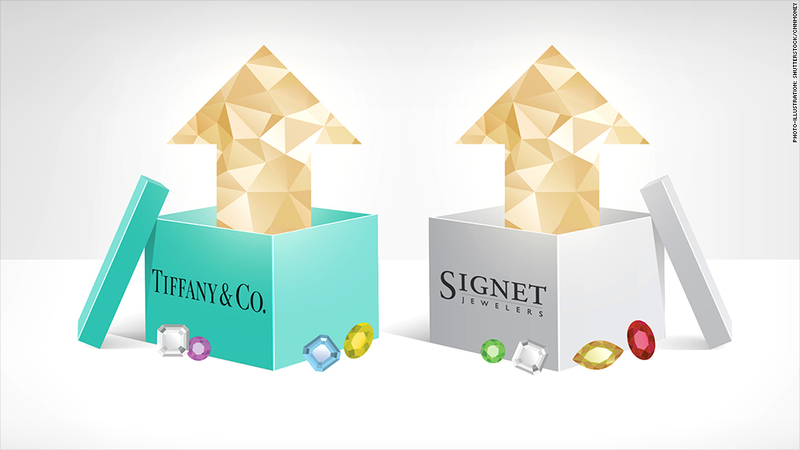 Shares of Holly Golightly's favorite company are up about 15% this year while Signet has soared more than 65% in 2014. Both stocks are trading at all-time highs. The strong sales appear to be a sign that American consumers are willing to pay up for some luxury items, particularly engagement rings. Signet, which also owns stores in Canada and the United Kingdom, reported its strongest growth in the U.S. So did Tiffany, which is a more global company. Its sales fell in Japan and growth was sluggish in China. Surprisingly, Tiffany's sales in Europe grew at a fairly robust rate too. Both companies issued solid outlooks for the current quarter as well, an indication that there could be a lot of necklaces, rings and bracelets stuffed in stockings next month. Traders on StockTwits were impressed. "Most blown away by $TIF and $SIG. Real clear sign the high-end consumer is just feeling it. Look at those comps, and into Holidays," wrote scheplick. But it may not just be wealthy consumers shopping for jewelry. Keep in mind that Tiffany is the higher-end brand, but a lot of Signet's stores are in malls. And those cheesy TV commercials from Kay and Jared aren't exactly targeted at the 1%. "It's not just Tiffany. Signet sales also show US consumers are in a celebratory mood. $SIG 'core' comps +6.8%, $TIF US comps +11%," wrote the appropriately named retail_guru. The success of Tiffany and Signet also seems to show that some specialty brick-and-mortar retailers are able to hold up well against online competition. Buying a ring, especially an engagement ring, is not just about finding the cheapest price on Amazon (AMZN). It's a purchase that you really do need to make in a store. You need to see and hold the product. Along those lines, online jewelry retailer Blue Nile (NILE) has been more cubic zirconia than Hope Diamond this year. Shares are down more than 25% in 2014.